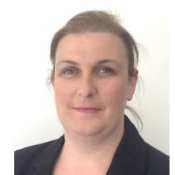 Jenny has been in the Adhesives industry for 15 years, originally in the quality and analytical laboratories, with the last 10 years in Health, Safety and Environmental Management and ISO management systems (9001, 14001 and 18001). In this time Jenny has chaired the BASA Environment and Sustainability Working group and leads a global sustainability team for the ARDEX group. Jenny has a BSc(Hons) in Molecular Science (with an environmental chemistry leaning) and a Post Grad Diploma in Occupational Safety and Health (DipOSH).